Join us for the first Networking @ Lunch Chamber Luncheon event of 2019! 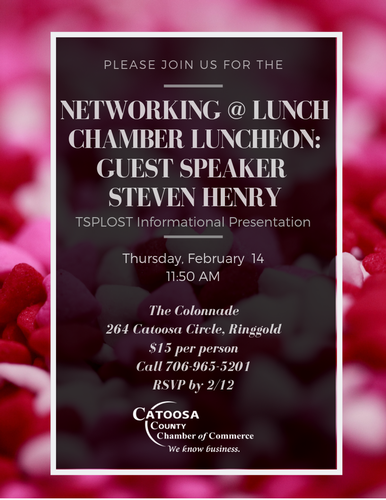 Our guest speaker will be Steven Henry giving an informational presentation about TSPLOST. Reservations are required by 2/12.